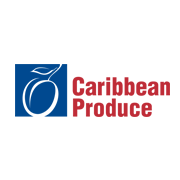 Caribbean Produce Exchange, a leading distributor of fresh fruit and vegetables in Puerto Rico, has elected to add the AFS Warehouse Management System (WMS) from AFS Technologies to its existing AFS ERP system. The strategic business decision will enable Caribbean Produce Exchange to optimize its current resources, gain a more complete set of functionalities and increase productivity by streamlining the flow of data between two complementary software systems. As the complexity of its business increased, warehouse automation became a necessity for Caribbean Produce Exchange. With approximately 95 percent of its products arriving in oversea containers, the AFS WMS tool will enable the company to improve inventory accuracy and order fulfillment as well as track inventory expiration dates and eliminate physical inventory errors. The AFS WMS tool is also Produce Traceability (PTI) compliant. Implementing an automated Warehouse Management System will further empower Caribbean Produce Exchange to prevent errors and rising costs that typically develop as a business continues to grow. As a leading provider of business enterprise and on-demand software solutions for the food and beverage industry, AFS Technologies, Inc. distinguishes itself by enabling customers to adopt additional solutions that work in conjunction with tools already in place. All of the solutions in the AFS Technologies product suite are compatible and scalable providing seamless integration as well as added value and convenience. AFS Technologies is the only end-to-end solution provider offering organizations the flexibility to crawl, walk and then run with technology that addresses ever-changing business needs. With annual sales of over $85 million, Caribbean Produce Exchange is the leading distributor of produce in Puerto Rico supplying imported and locally grown fruits and vegetables to the leading major food retail chains of Puerto Rico, including national named restaurant operators, hotels and cruise ships.